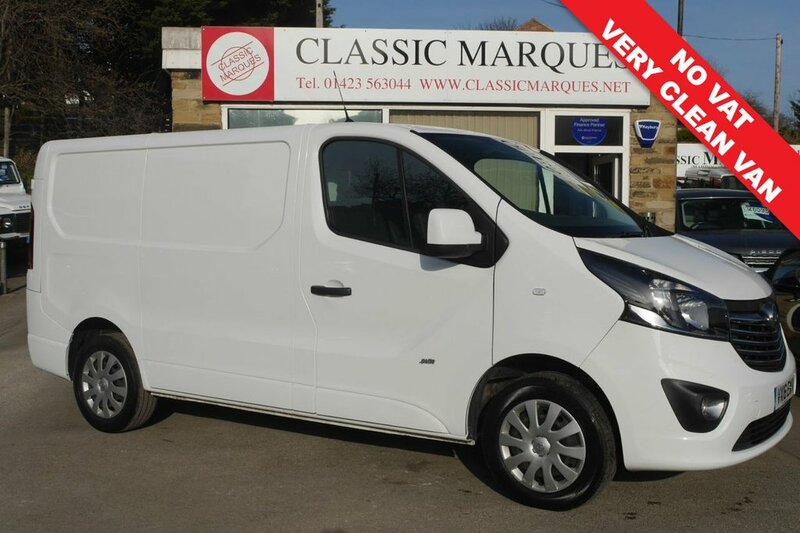 VIVARO 2900 SPORTIVE CDTI 1.6, THIS IS AN EXCEPTIONALLY CLEAN EXAMPLE OF THE VIVARO VAN. the load area has been well lined with grey finish. The Vivaro is very comfortably equipped with satellite navigation, cruise control and speed limiter, air conditioning , Bluetooth phone connection and SD points. The cab has three front seats with full safety belts and a bulkhead to secure the load area.. The 1.6 turbo has a 6 speed manual gearbox for efficient motorway cruising.The Vauxhall has the benefit of a full service history and will be serviced up to date prior to delivery.